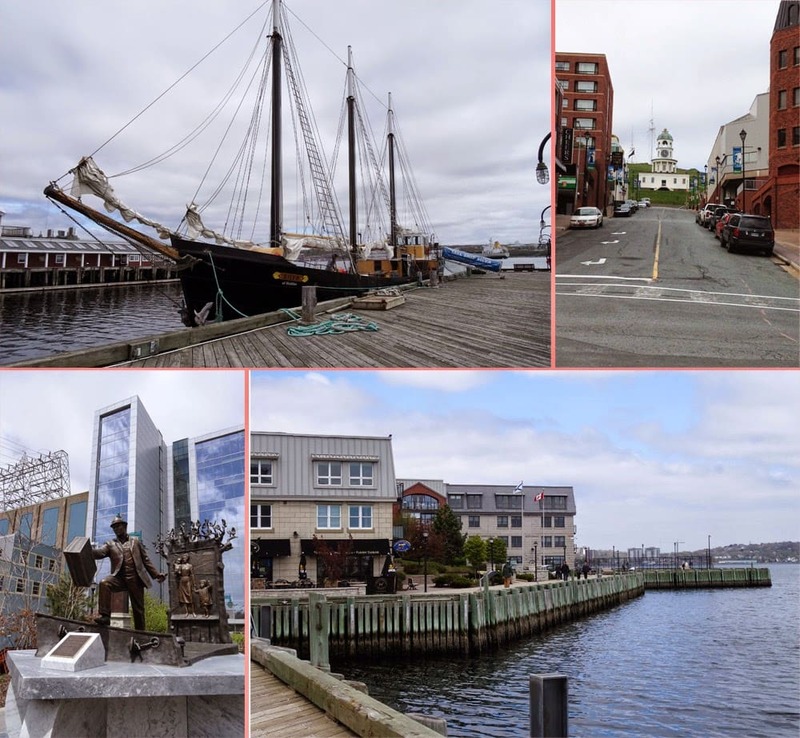 Join me for a food Tasting Tour of South Morris Street in downtown Halifax, Nova Scotia. It’s a town I found really easy to navigate on foot. When I met up with my blogging colleagues, Karen, Helen, and Aoife, later in the trip, they were amused by how I knew my way around (well most of the time!). 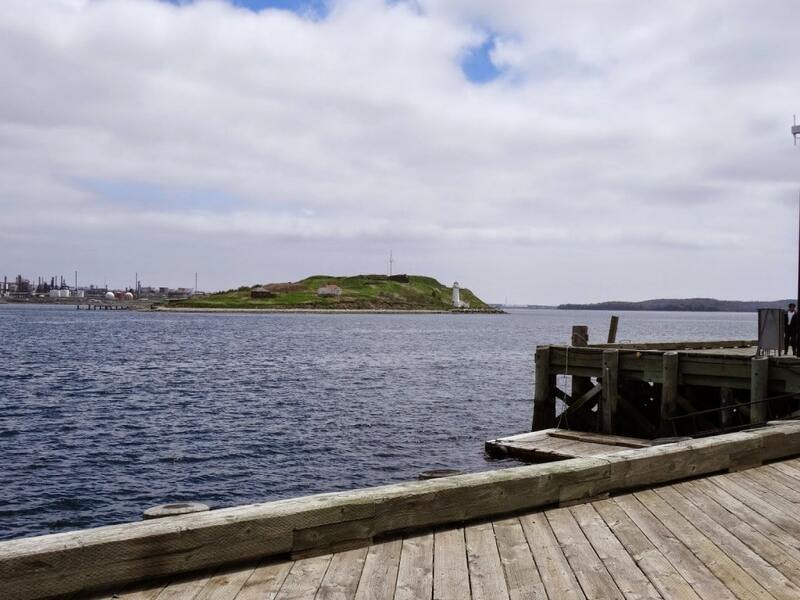 It helps that there is a hill behind you leading down to the waterfront and the streets are in a grid pattern, so you can quickly get our bearings, and Halifax is a definitely a place where walking is a good way to get around. 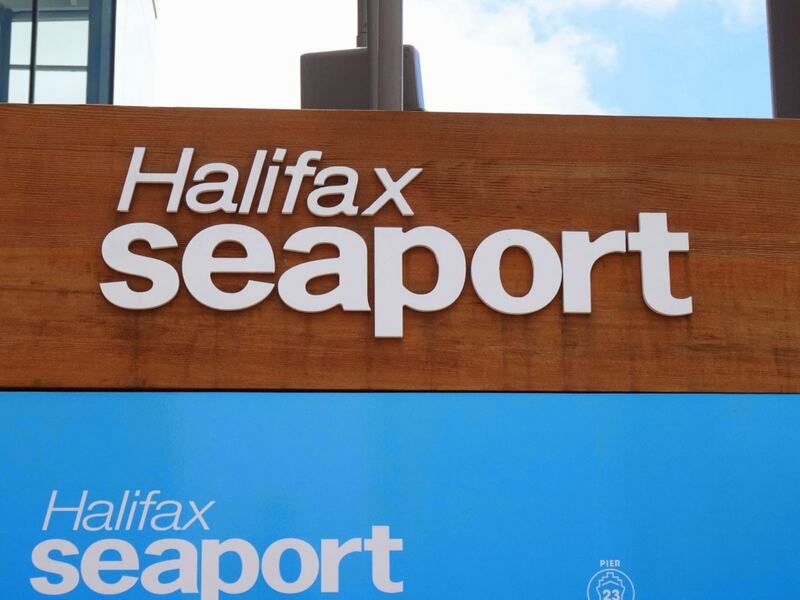 I was heading to the Halifax Seaport Market to meet with up with Emily Forrest proprietor of Local Tasting Tours and my guide Elena Cremonese, who was ready to take me on the SOMO (South of Morris Street) Food Tour. “Local Tasting Tours highlights the local side of Halifax cuisine, from the unique culinary style of local chefs, to the diverse dishes offered in locally owned ethnic eateries, to fresh Nova Scotia-grown produce and dishes inspired by our local bounty” The tour includes visits to six local eateries in the area ‘south of Morris Street’ to taste dishes prepared especially for you by award winning chefs. 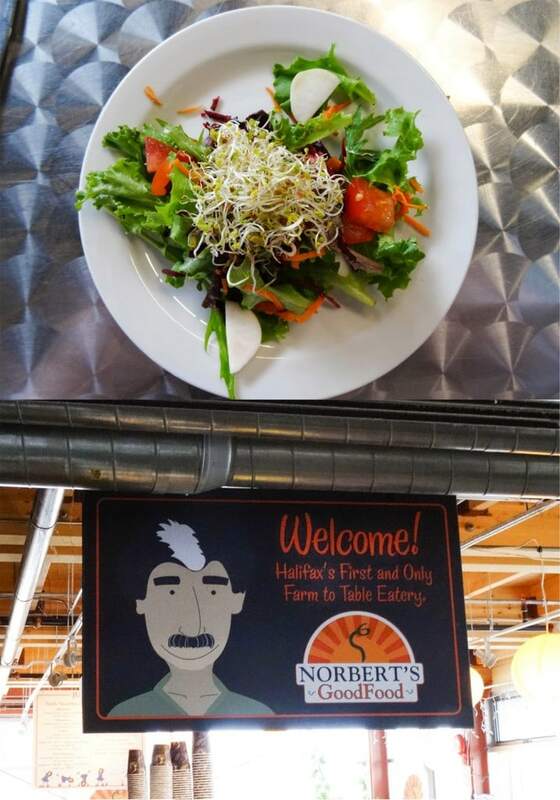 Norbert’s Good Food is Halifax’s first and only farm to table eatery sell their own produce grown at their own organic farm, Selwood Green. Norbert’s was the first stop on my Food Tour, it’s located at the Seaport Farmers’ Market. I had a very tasty salad topped with sprouts and dressed with a simple oil, vinegar and honey dressing. A short walk along the waterfront and we arrived at Sugah, a store full of chocolate, toffees, sweets, ice cream and Rum Cake! 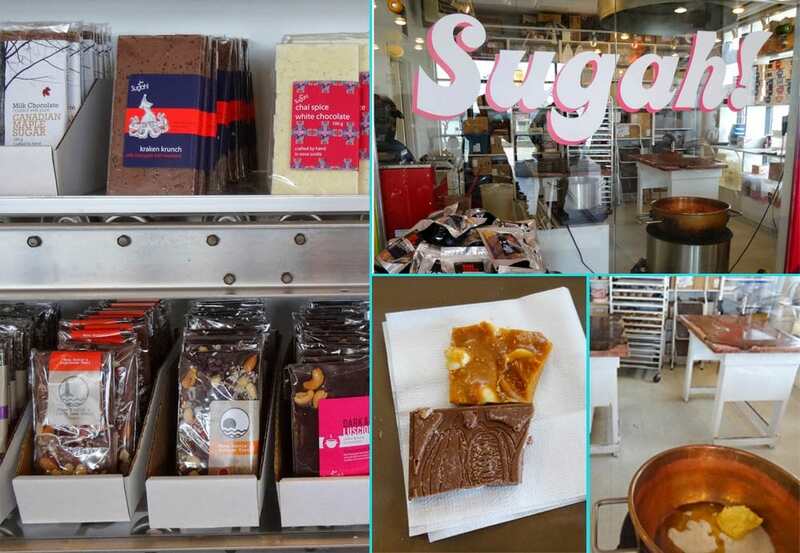 All of Sugah ‘s products are crafted by hand in Nova Scotia using traditional methods and using fresh butter, cream sugar and nuts. The sweets are cooked in the old-fashioned copper kettle and worked on the marble slabs. The chocolates feature finest Belgian Chocolate and as well as some traditional flavours there are great ideas like the Kracken Krunch, blended with Nova Scotian Seaweed; The Brew Bar made with a unique combination of fruit, nuts and spices and the Fog Burner which combines chocolate with Fog Burner coffee grounds. I brought home quite a few bars of Sugah chocolate as gifts, they really are unique flavours.I was offered samples of the S’mores chocolate which was far too sweet for my taste, I preferred the ‘Tall and Dark’ Brew Bar. The Bacon Praline was also good, but not a patch on the one made by Wee Sweetie, her praline is just packed with bacon and much more robust than the one at Sugah (I’ve been spoiled!). Sugah is owned by The Uncommon Group who also run the Uncommon Grounds coffee shops in Nova Scotia. 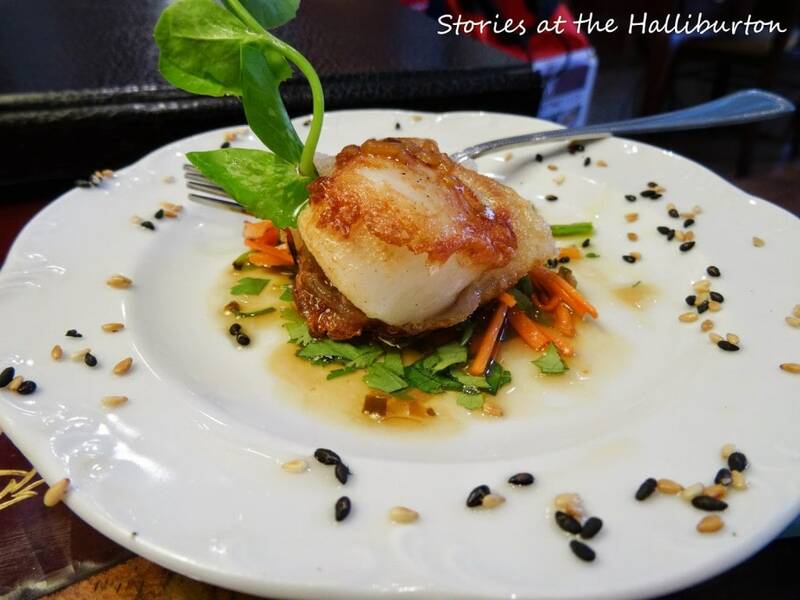 Next I returned to The Halliburton (read about it in The Bridge, The Bison and the Four Poster Bed ) and was presented with this beautiful plate of ‘Pan seared, rice paper wrapped sea scallops, ginger sesame vinaigrette’, oh my goodness what a delight! I also had a chance to speak to the chef and compliment him on the meal I had eaten the evening before. prosciutto, maple rosemary aioli and microgreens. I’m not a huge fan of goat cheese but it combined well with the sweet peaches and salty prosciutto. The base of the wood fired pizza was superb, it was thin and managed to be crisp underneath and soft on top, just perfect. 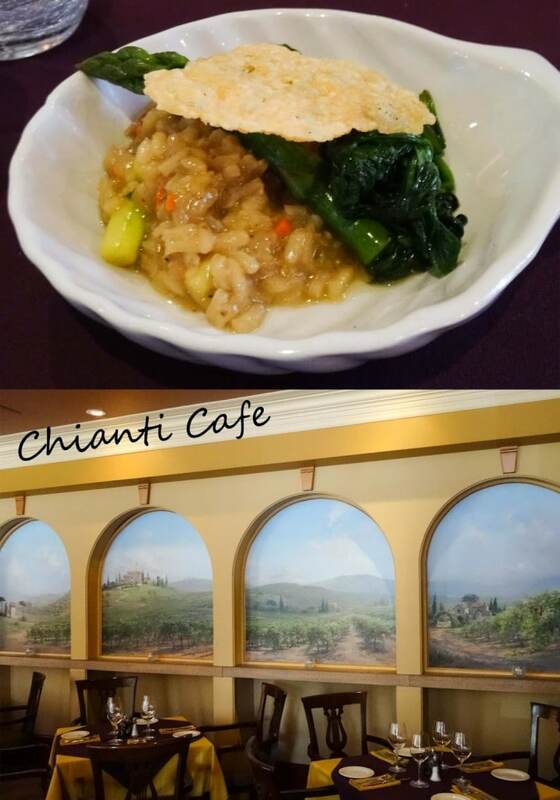 We finished our tour at Elements on Hollis, the restaurant in The Westin, Nova Scotian Hotel. 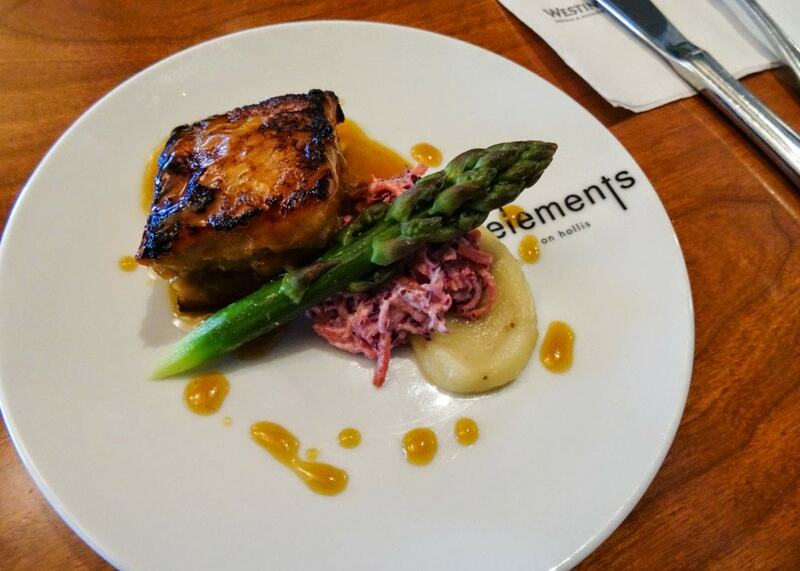 Chef Steve Galvin brought me this lovely plate of belly pork in a barbecue sauce, a recipe he had recently developed. I know belly pork is very popular, but it’s not my favourite cut of meat, too fatty for me. However, once again I was proved wrong and I really enjoyed this rich and tender dish. 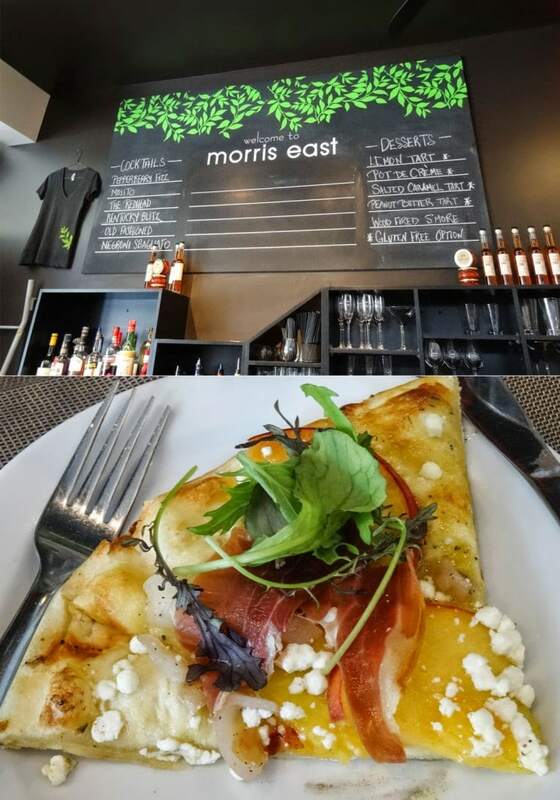 There will be more about Elements on Hollis in a later post as I ate there again when I returned to Halifax. It was now time for me get back into my Jeep SUV and head across The Macdonald Bridge towards Pictou, I hope you’ll join me on the next leg of my journey in Nova Scotia. 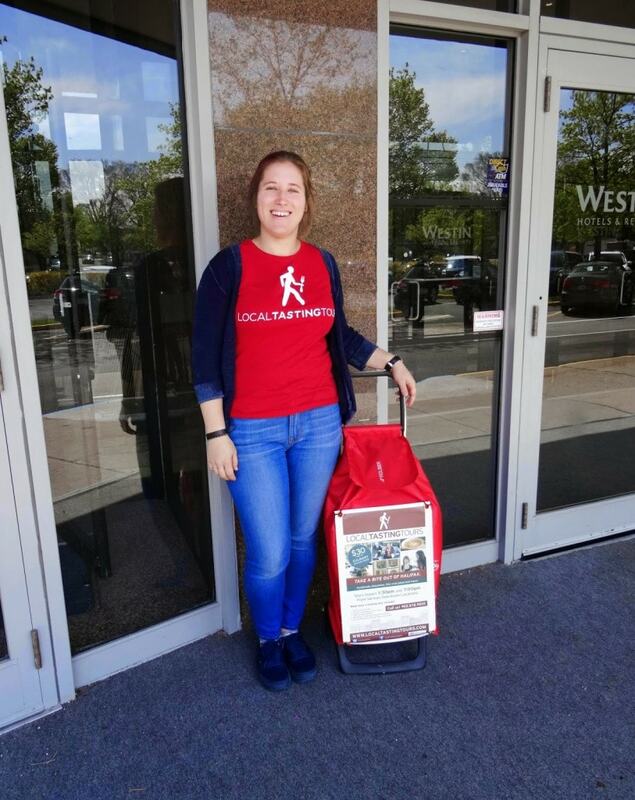 Disclaimer: I was the guest of the Canadian Tourism Commission and Nova Scotia Tourism and all my flights, car hire, accommodation and meals were included, as well as all trips, excursions and special cookery sessions with local chefs. I’d like to thank the host organisations and everyone who made this a truly memorable trip. Not jealous, not jeal… ah, who am I kidding! Love everything about this tour, and especially peach pizzas! I need to try this Janice.